Many of the foods we all eat are processed. Although most of us know these can contain chemicals that are not good for us, they can be very tasty and convenient. However, there is a trend moving towards eating fresh foods as these processed ones get worse and worse publicity. Even governments are saying they should alter ingredients to make them healthier, the UK for instance, insisting that the amounts of sugar and salt in processed foods is reduced by half. It’s becoming more common to clean up your diet. Eating fresher foods can help you to lose weight, but even more importantly, they reduce the risk of you developing diabetes, cancer or heart problems, so that you can live your healthiest possible life. It can be difficult to suddenly change your diet totally and often is not sustainable., However, you can change a few things at a time, and if you aim for a diet that is 80% better than you are currently eating, you will still have room for the occasional treat. Balance, right?! Some things are easier than others to replace. You could begin by replacing soda drinks such as coke with water. If you need flavor, add a few slices of a citrus fruit such as lemon, orange or lime or even better, buy cucumber flavored water that’s ready whenever you need it. You will find this just a refreshing and the extra water in your diet is very good for you. Soda drinks have a lot of preservatives and sugar in them, and they are best avoided. Achieving this is a huge step towards making your diet healthier. Another easy thing to swap is white processed bread for wholegrain brown bread. This is tastier and much better for you. The same applies if you buy pasta. The whole grains ones are more natural and better for you. If you’re a meat eater, avoid processed meats such as burgers and sausages. Often, these do not have much actual meat in them at all and are filled out with other things to give them a longer shelf life. If you want meat, find a local butcher and buy it fresh. This does not mean you can never have a burger again. You can make your own and then you will know exactly what is in them. Buy fresh whole chicken rather than portions that have been skinned, as the chicken breasts or legs you buy often have chemicals added to them to bulk them out, and these are not good for you. If you are vegetarian or vegan, find the organic fruit and vegetables, so that you are not digesting the pesticides used on these things. In fact, we should all do that. Manufacturers have to put the ingredients of food on the labels and make sure you read these before you buy. If they do not show the actual amount of each ingredient, they have to list them in the order of the largest first. If you read the label and there are a dozen or more ingredients, there’s a good chance that they include some of the things that should be avoided, such as artificial flavors, colors, stabilizers, preservatives, and excessive amounts of fat, salt, and sugar. They may give them a fancy name, but that does not change what they are. If you want to purchase some processed, opt for the things that have the fewest ingredients, five or less if possible. The likelihood of the toxins reduces greatly when there are not so many ingredients in the food. 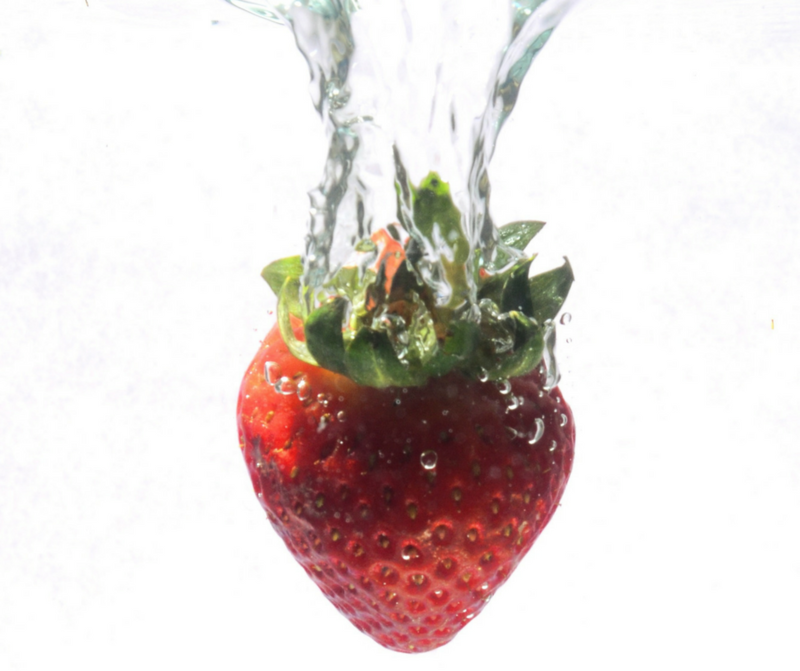 If you’re used to eating a lot of salty or sugary foods, a sudden change can be too drastic. This means you’ll probably revert to your old ways. Do it gradually, for example, by mixing white and brown rice together until you become accustomed to the taste. Over a few weeks, decrease the amount of white rice and you will find your taste buds will adjust. You can do this with lots of foods, and research has shown it can take up to 12 weeks for your tastes to alter. Allow yourself the time, and do not give up if it takes a little longer than you hoped. You only have to go back a couple of generations to find the time when foods were fresh, and you could only get some of them when they were in season. In those days, processed probably meant it was frozen or in a can, and nothing much was added. There were more local shops. You went to the butchers for your meat, the greengrocers for your fruit and veg and the bakery for your bread. Foods did not have ‘use by’ dates because everyone knew you had to use them as soon as you could. More people are turning back the clock where their diet is concerned. As a result, they’re feeling healthier and more alert because of it. 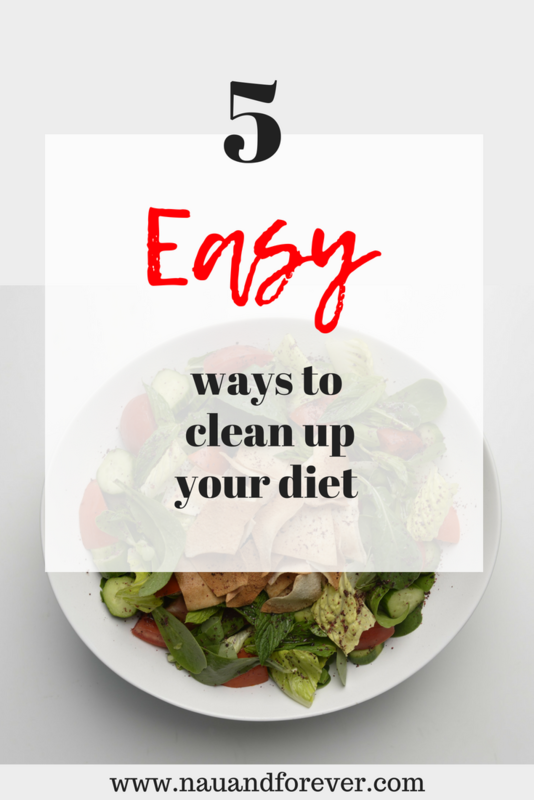 If you want to clean up your diet, making these simple changes can make all the difference. If you’re ready to clean up your diet and need coaching towards a healthier lifestyle, I’d love to chat and see how I can help you reach your goals. Fill out this quick form or email me at laura@nauandforever.com. We can all be clumsy at times and sometimes, as a result, we may end up taking a tumble while we’re out and about. In fact, it can even be all too easy to slip and fall over in our own homes, especially in rooms that could be very hazardous, such as the kitchen and bathroom. But thankfully, there won’t be too many people around to see those tumbles! Even though falls are often more embarrassing than they are dangerous, there could still be a need for you to get checked out and spend some time recovering after slipping over. You might even have an injury that you can’t feel. 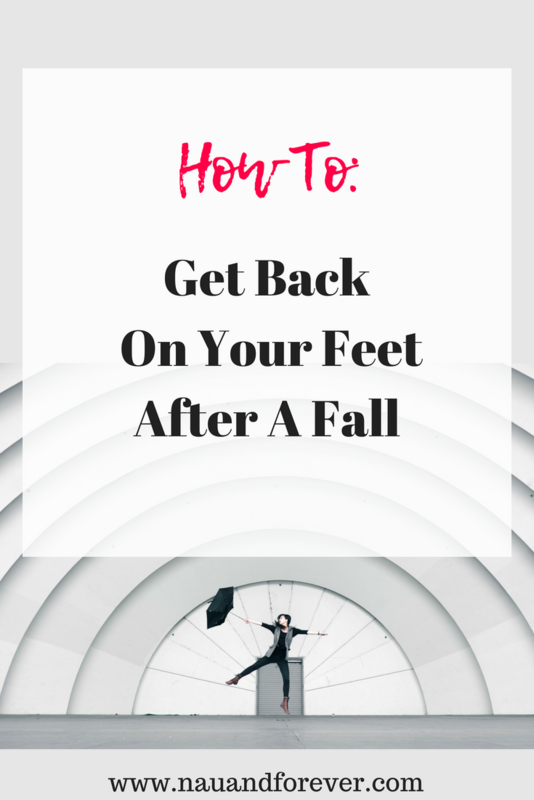 So, it’s always important to spend some time getting back on your feet after a fall. Read on to find out how! If you do fall over while you are out in public, you shouldn’t feel too embarrassed, no matter how many people may have witnessed it. When we get embarrassed it’s easy for pride to get in the way and try to brush off the fall as nothing too serious. You might even try to walk through the pain just to put on a brave face. This can be a big mistake if you really are injured. Don’t let pride get in the way of getting checked out. If the trip wasn’t your fault, then you might be eligible for a compensation payout. Before you do try and claim some compensation, though, it’s worth getting legal advice from a lawyer who has experience with these kinds of claims. There are various reasons why the trip might not have been your own fault. For instance, if someone hadn’t wiped up a spillage or there was another hazard in the way. If you trip in your home while you’re alone, you might need to call for help if you are unable to get up. Keep your cell phone on you and this shouldn’t be a problem. If not, then you’ll need to try and scoot yourself over to a window or door where you can start shouting to try and attract the attention of passers-by. Even if you don’t feel too much pain, it’s still worth visiting your doctor after suffering a fall. Get checked out and make sure there isn’t an internal injury that needs to be seen to. Internal injuries aren’t always painful straight after they have been caused so you might not be initially aware of them. It’s a good idea to try and prevent any falls in your own home by removing any particularly slippery flooring. If you live with someone who is elderly and not so strong on their feet, you should consider installing some handrails in your home as well.